Leonardo DePablos is a bilingual OSHA authorized instructor and one of TSCTA’s newest team members having joined us in 2015. Mr. DePablos previously worked in construction safety as a Safety Coordinator and Fireguard in the NY metro area. In both positions he was responsible for daily walk-throughs, new employee onsite orientations, drafting and maintenance of safety logs and equipment inspections. Leonardo holds an Associates of Science in Business Administration and will be completing his Bachelor of Arts in History and Secondary Education in December 2016. 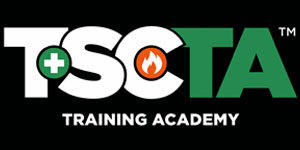 Leo provides instruction of TSCTA’s OSHA and NYC Department of Buildings approved scaffold courses and will soon be completing training for the NCCCO certification for Rigger Level I & II and Signalperson courses. Leo is a dedicated vegan, animal lover and poker player.